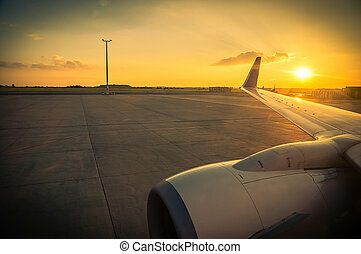 Plane sunset. 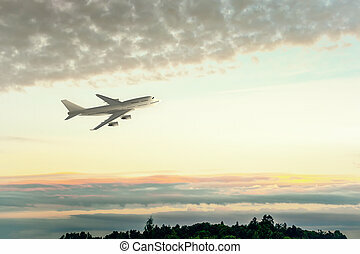 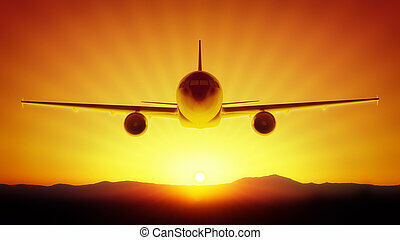 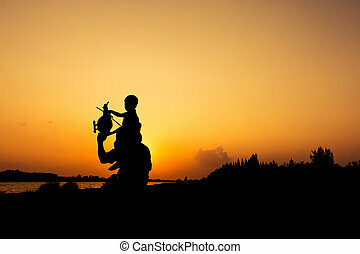 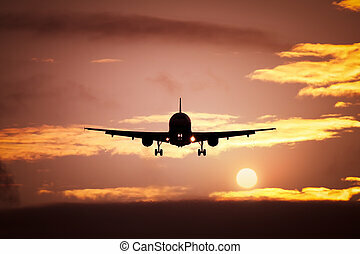 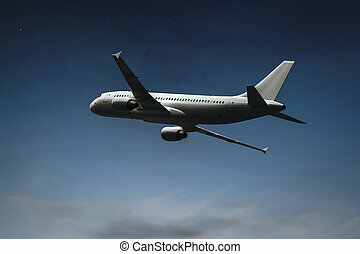 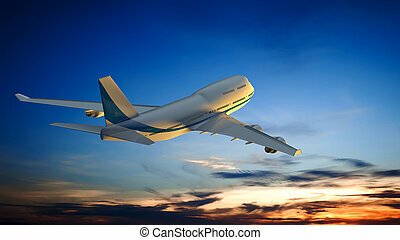 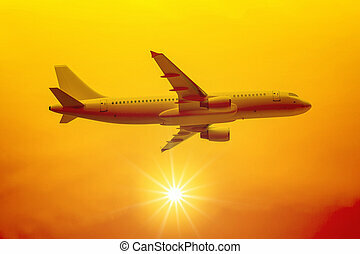 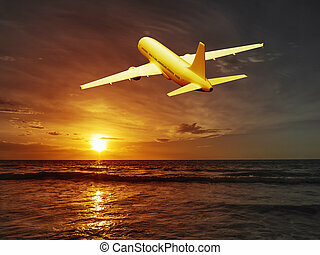 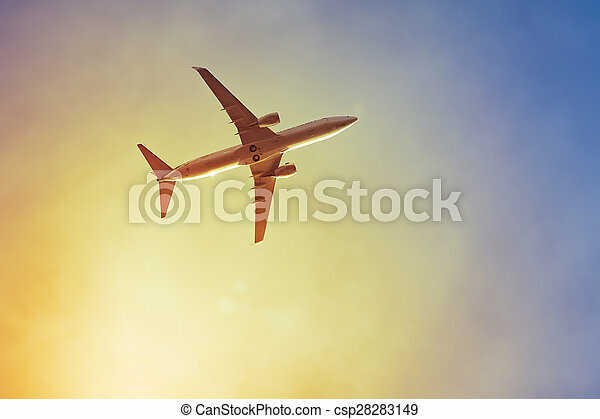 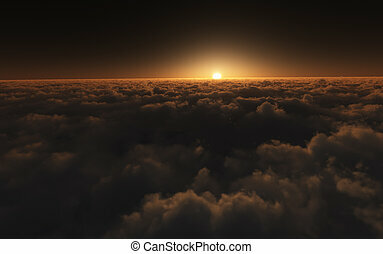 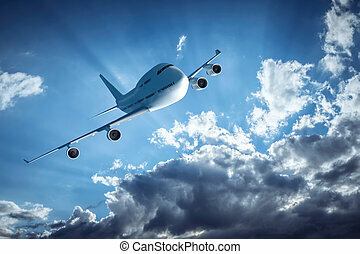 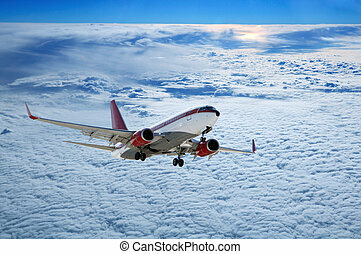 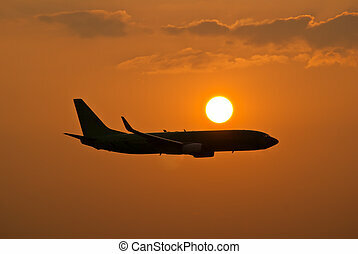 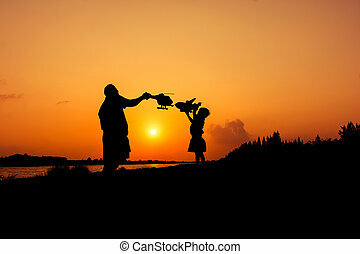 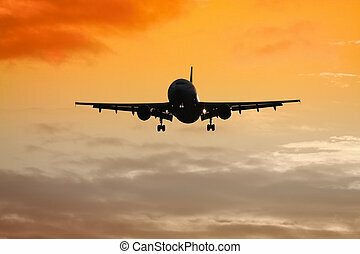 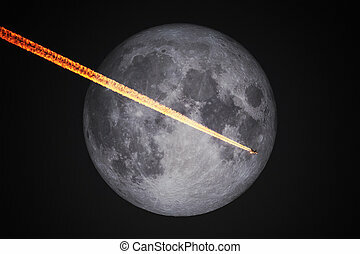 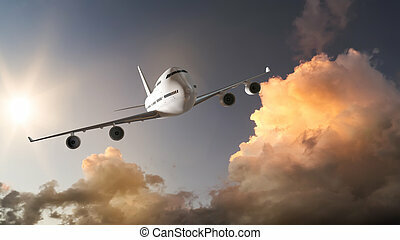 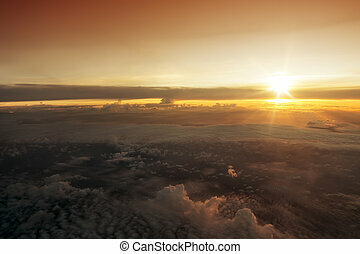 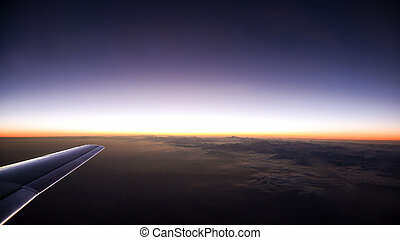 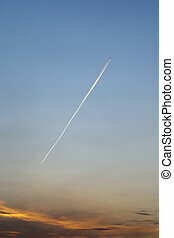 An image of a plane in the sunset sky. 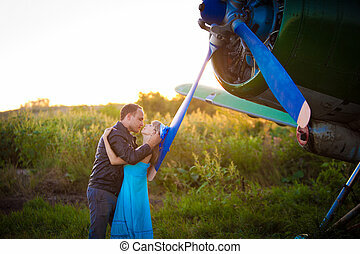 Beautiful couple is kissing under the vintage plane. 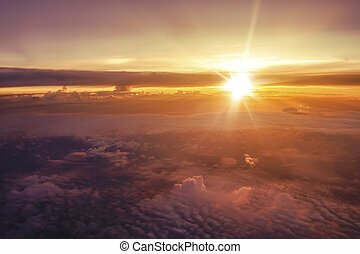 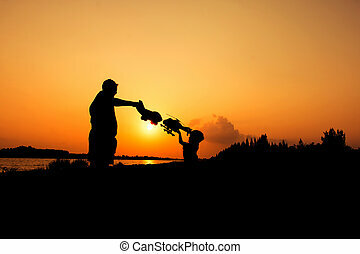 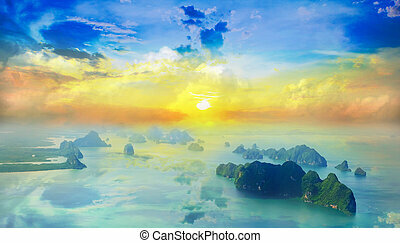 Sunset on the background. 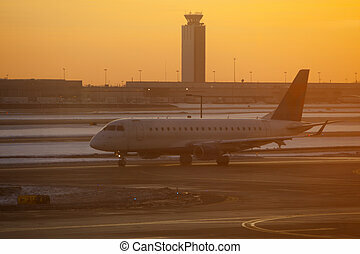 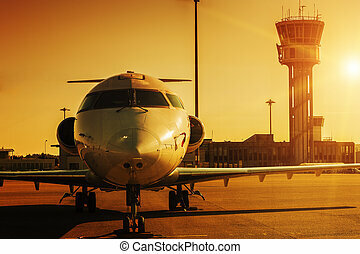 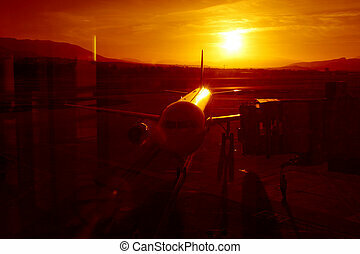 A plane at the airport at sunset.